One of the main stages, faced by everyone who wants to create and promote his own resource correctly, is a selection of keywords. Optimizing pages for keywords, you’re creating a so-called “entry points”, that is the pages by which users come to your site from Google and other SEs. Site’s fate (the success of its advancement) is largely depends on the correct choice of keywords. Mistakes, made at the stage of search keywords, can make SEO ineffective and very costly. This is especially true for e-commerce sites, as it is important for them not just to involve the audience interests, but to converse people to target action (buying products or services). In addition, the selection of keywords influences on the complexity of the promo, potential audience size and backlinks budget. The last thing is crucially important, as since keywords are only one of numerous parts of SEO complex. All of this suggests that the task of keywords creation and selection must be approached with the utmost seriousness. And it is unlikely you will be able to synchronize, automate and optimize all stages of SEO by your own. In the following article chapters we’ll consider best keyword research software that can help experienced SEOs not only to find more words and phrases, but also to get statistics for each query. The software greatly simplifies and automates keywords search, but it must be used carefully and with caution, as each program has its own nuances, abilities and compatibility. Among many programs, Keyword researcher performs better selection of low-frequency queries for promotion. The program is paid – $ 50 a month. It works both on Windows and Macs. Keyword Researcher doesn’t requires installation in its overall concept, but you need to download and put the program file in and run it to start the soft. After starting, specify your email in “Login” window and click on “Unlock” to get the full version of the program. Essentially, Keyword Researcher is a tool for collecting search suggestions. It is based on sorting options of 26 English letters and numbers for the collection of low-frequency queries, which are virtually impossible to obtain by other means. The program provides wide options in the the selection of keywords, including commercially oriented. Keyword Researcher avoids Google ban by making pause when it’s needed, providing continuous automatic collection of requests. But note that the soft does not collect the strict demands of the specified region, so you can enter region as the second keyword for searching. The program picks up low-frequency queries as follows: it makes a request of the form [1st keyword] * [2nd keyword] (specified keywords in the fields “Singular” and “Plural”), where instead of “*” sign the program uses 26 letters of the English alphabet and numbers to receive all possible suggestions. As a result, you get a list of search queries, most of which is a low-frequency ones, really typed by Google users. Search results are limited to 200 keywords. Keyword selection is not available for all letters of the English alphabet (only from A to H). No function of multiple keywords input. It’s paid keyword search software with cost of $ 99.99 for eternal license. When you purchase a license for the software, you get the keys to work on two PCs, and a few other bonuses from the seller, including a manual on working with MFA sites. If you plan to choose keywords by yourself in a large amount, the purchase of the software will be justified. To work with the software you need Google Adwords account. If you’re not USA member, after registration be sure to change Google Adwords language to compatible with Micro Niche Finder one. When you first install Micro Niche Finder (MNF), you will be asked to enter your login (email) and password of Adwords account (data for collection and analysis of keywords will be taken right from there). Installation of the program should not cause any trouble. During it, you will also be offered the option of faster performance. After installing the software, you can almost immediately begin to search for keywords. Parameters of collection may be different (depending on the subject and the type of project, as well as on the type of keywords), but for young sites we recommend to choose keywords with minimum competition in the search results, maximum competition among advertisers, acceptable CPC and number of requests per region. The form for entering the primary keyword based on which the program collects a list of similar requests from Google Adwords. Search button (or you can activate search using Enter). The language of collected keywords (more than 10 languages available). The region for which requests collected. Info about that the software is activated entered a valid license key during installation). Phrase. This is the keyword that was matched by the program based on the entered query. Domain Availability. Availability of the domain, which name is identical to a keyword in 3 popular domain zones. Comp (Adwords Competition). Competition among adwords advertisers. The parameter that indirectly influences on a click cost. In MNF it’s presented by a numerical value from 0 to 1, and highlighted with 3 colors. 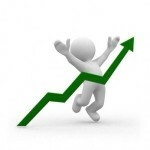 The higher the Comp value – the more you can earn from your website. Trends. A graph that displays the dynamics of the number of search queries by months. 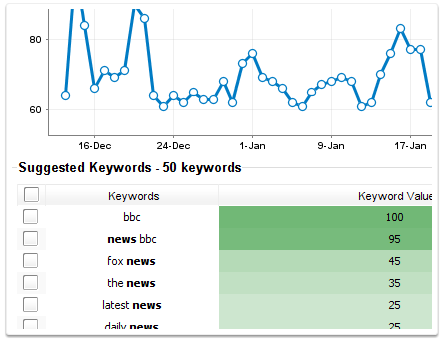 In some subjects when selecting keywords you should account the trend of their popularity. When choosing keywords Avg. Monthly Searches also considered, but this option shows the average value. In many cases you should also pay attention on Trends, as if the search query had large enough number of requests, even in case of a tendency to decline it will remain high average value. Monthly Searches. Shows the average monthly keywords search volume on the selected language and region. Ad Cost. Click cost to adwords advertisers. The owner of the site where the advertisement is placed receives from Google 68% of the click cost, but don’t hope you’ll get a lot of cash once you create a site. The tool works with Windows XP, 7,8, or Vista. All the data is received from Google words selection service. Local database available for search or required keywords. Ability to create keywords from miss-spelled words. Long-tale keywords creation using wide options (combining and deleting words in phrases, appending words from both sides of keyphrase). Data importing in .CSV format on a hard disk. Tracking positions with Sile/Link Popularity Tool. 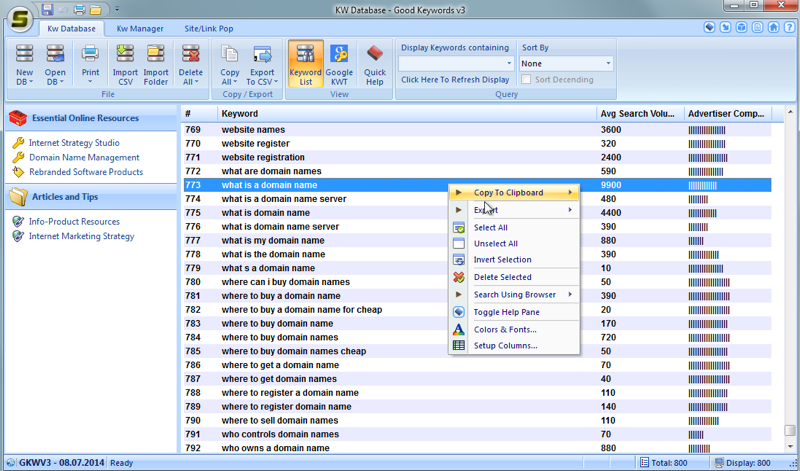 Managing Keywords list with Keyword Manager. This program allows you to select search requests directly in the interface of Microsoft Excel, which is very convenient for many users. Data is collected from Bing and Yahoo search engines and include relevance, cost history, frequency capping, and country data. Keywords base of 200 thousand. Integrated research and bid estimates. Filters adult and brand terms. Tailors strategies on the base of specific metrics – position, impressions, clicks, CPC and click-through rate. Analysis of potential customers and further campaign optimization. The program is free to use with Microsoft Office Excel interface. Good Keywords project allows you to find new ideas for search queries that are based on research, trends and popularity. 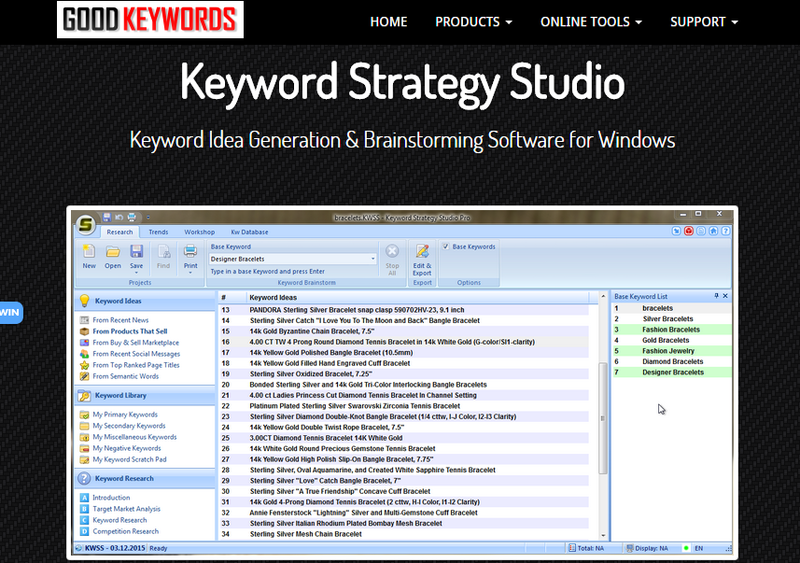 Keyword Strategy Studio has a fully functional trial version, which can be used within 30 days. Paid version is $ 49 for a single user and $ 195 for a site license. 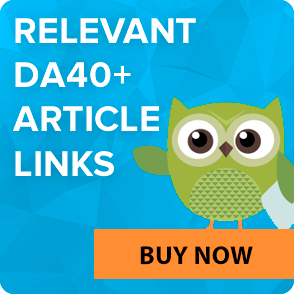 All-round grasp of the keyword subject with powerful analysis. Simple base for generation of thousand of related keyphrases. Generating ideas from top selling offers, fresh news, social trends, etc. Using “Trends” section, you can select between trends and top searches, data, as well as to get insight what users are interested in and what keywords you can use to cover their interests. “Workshop tab” is a tool for modifying, cleaning and multiplying of keywords. The tool is paid – $ 149 to unlock the full version, containing numerous tools (Keyword Research, Monetization, SEO Competition Analysis, Domains, Promotion, Publish Content, Monetization). The great thing is that the keyword selection module in Market Samurai continues to operate normally even after the end of the trial period, that is, in fact, program are free to use for an unlimited amount of time. This program has a free version with many interesting features (e.g. Amazon keyword scraper for collecting keywords form Amazon.com). You can set various filters when searching for keywords and phrases, remove names of brand by single click, set a range of local and international queries display, as well as set the parameters of average CPC. Also you can specify the type of match (exact, phrase or broad). Provides all its functionality throughout the free trial period of 30 days on Mac OS X, Windows and Linux. Collecting keywords from multiple sources. Calculation of keyword commercial value. Applying filters to refine keywords list. Basic features (Performance, Basic Keyword Research, Competition Analysis, Content Optimization, Scheduled Updates, Social Media, Link Building, Ranking). Reporting (Search Features, Autopilot Mode, Alerts, White Label Reports). 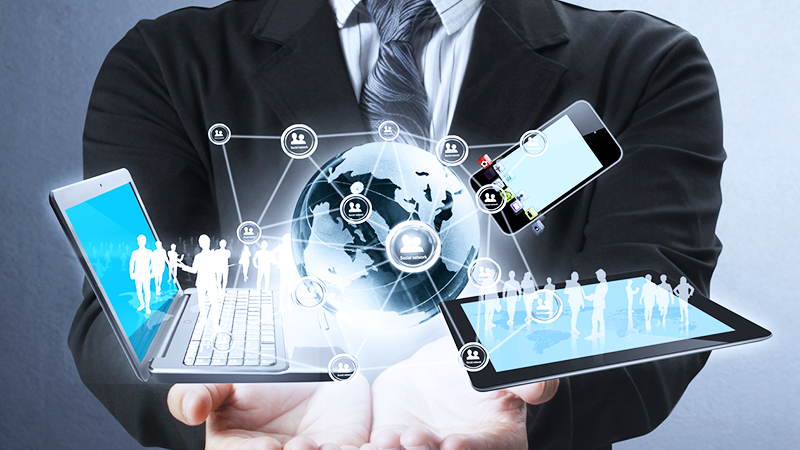 Advanced SEO tools (Rank Data Export, Custom Filters, Advanced Search, Research Tools). Multiple seats (Security Management, User Profiles, Shared Client Database). A part of SEO Power Suite complex. This module allows you to select keywords, define the level of competition, find misspellings, etc. Data are collected from Google AdWords, Semrush, Bing, Wordtracker and Keyword Discovery. At the end, we would like to note once again the importance of proper keyword research and selection as fundamental factors to get ranked on Google.